Safeway Steel Buildings have a hot-dip galvanized steel frame. All primary and secondary framing members are zinc coated to outperform inferior paint primers used by other manufacturers. Our Zinc galvanizing process prevents rust and ensures a long life-cycle of performance. Safeway steel buildings are designed with a patented easy bolt-together connection technology, which compliments a sturdy bracing system for extra rigidity against wind and snow loads. All Safeway Steel Building are made in America , by American workers and with 100% American made quality steel. Superior quality materials, skilled craftsmanship and cutting-edge technology are combined with a state-of-the-art manufacturing facility in producing each Safeway Steel pre-engineered steel building system. 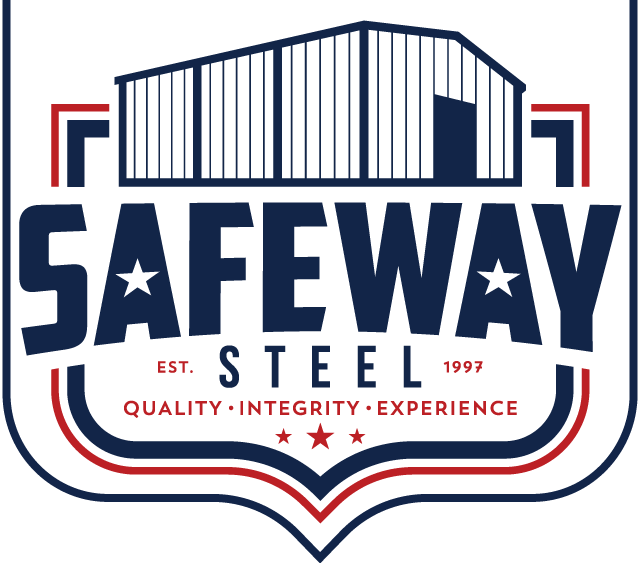 From our patented frame system to the finest hardware, each Safeway Steel Building is delivered to your location as a complete package ready to build. 25 Year Warranty on AZ55 Galvalume Roof Panels. Lifetime Warranty On Stainless Steel roof Fasteners. 40 Year Warranty on the siliconized polyester colored coating on the walls and trim. If your building requires floor areas that must be free of all columns and supports. This Clear Span design is ideal for gymnasiums, aircraft hangars, riding arenas, and showrooms. When columns will not interfere with the function of a building, multi-span framing is used. Multi-span buildings provide a maximum span at a lower cost. The Number of spans can vary from a minimum of two to an unlimited maximum number of spans. 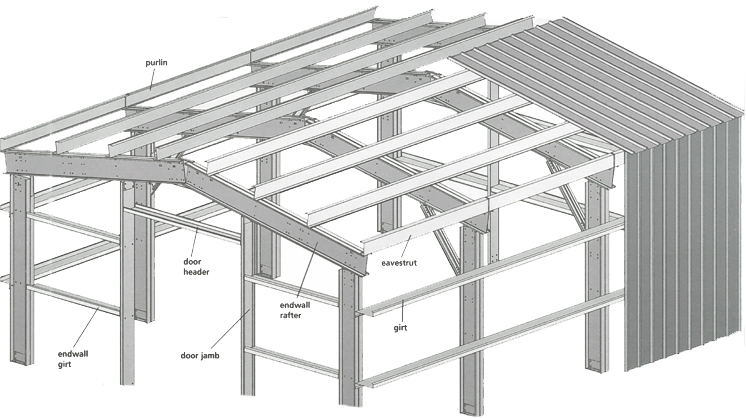 Lean-to construction is an economical way to increase the width of an existing building or add on to a new building. Some common uses of this type of framing include: equipment storage , stalls for animal confinement, open-roof systems, canopies, and office space adjacent manufacturing facilities. The Cut-Away View shows roof panels, wall panels, purlins, optional gutter system, rafter and sidewall column. The Optional Gutter system not only allows for functional rain water removal, but also as an aesthetic appeal to add a that little touch of customization to your building. There are many color options available when you go with our optional Gutter system.